William Morrow Paperbacks, 9780062365446, 224pp. Dennis Lehane returns to the streets of Mystic River with this love story wrapped in a crime story wrapped in a journey of faith—the basis for the major motion picture The Drop, from Fox Searchlight Pictures directed by Michaël Roskam, screenplay by Dennis Lehane, and starring Tom Hardy, Noomi Rapace, and James Gandolfini. Three days after Christmas, a lonely bartender looking for a reason to live rescues an abused puppy from a trash can and meets a damaged woman looking for something to believe in. 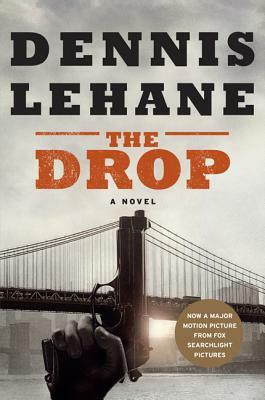 As their relationship grows, they cross paths with the Chechen mafia; a man grown dangerous with age and thwarted hopes; two hapless stick-up artists; a very curious cop; and the original owner of the puppy, who wants his dog back. . . .
“Understated and perfectly paced….What makes The Drop so good is not just the pacing, which is just about right, but the mood…. There’s also the very stylish writing.